The A-37 was one of the few military aircraft developed by the Cessna aircraft company, that mainly is known for its many private flying aircraft. Cessna developed in the fifties for the USAF a basic jet trainer, the T-37 "Tweety". 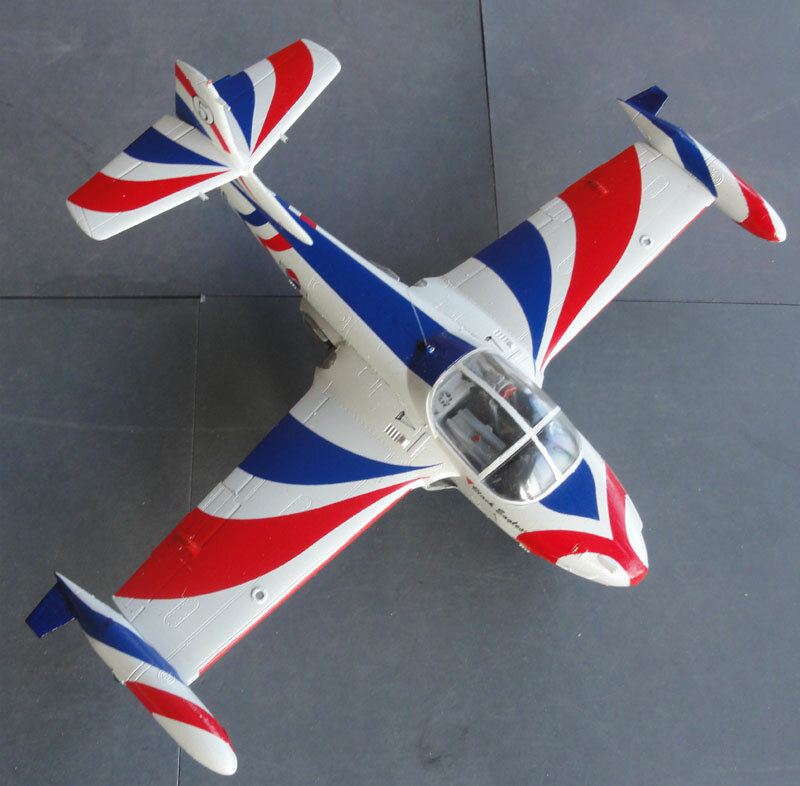 It flew first in 1954 and many were manufactured and used for training in the USA. As the Vietnam war escalated mid sixties, their was a need for a low cost attack aircraft for "Counter-In surgery". 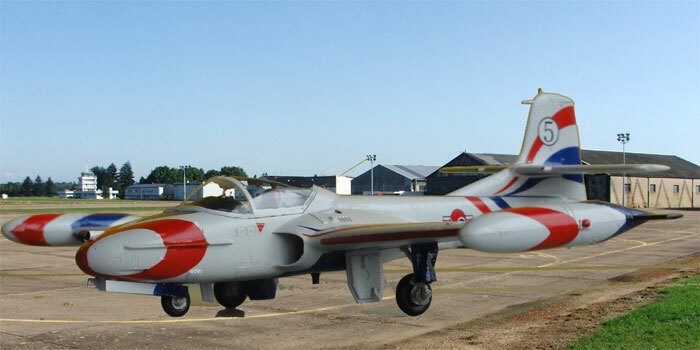 The T-37 seemed a good basis but would need to carry more payload, get longer endurance and good airfield performance. The A-37 was developed with a stronger wing with more pylons, large wingtip tanks, a minigun fitted and new J85-J2/5 engines with much more thrust. So as compared to the original T-37, gear doors and shape were bulged, intake a bit enlarged and jet pipes are bit bigger; the tip tanks were standard on the A-37. But not earlier than 1967, the first A-37A deployment was to Vietnam. It was known as Dragonfly or better the "Super Tweet". 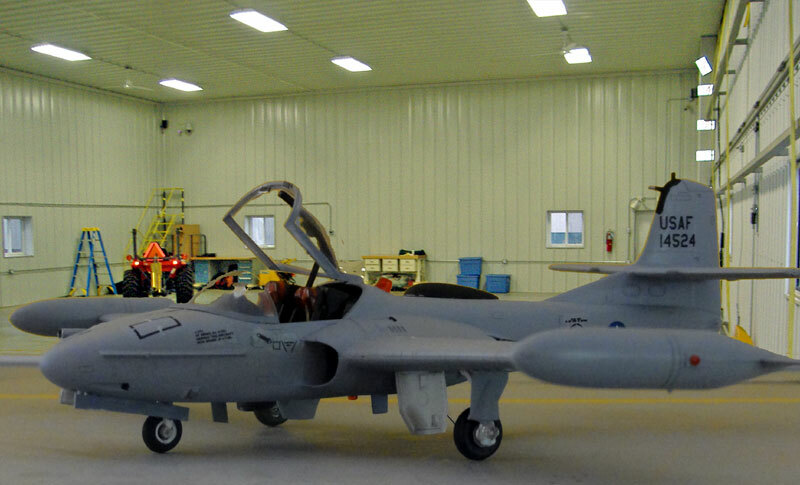 The A-37B was a version with a complete new strong airframe and a wing that could carry also 4 lower wing fuel tanks on pylons for longer endurance flying at low altitude over the jungle. The stronger J85-GE17 engine exhausts were a bit canted outwards and the control surfaces a bit modified. It also got armored ejection seats and improved systems. A refuelling probe on the nose could also be fitted. The landing gear was also beefed up. Over 500 A-37B were manufactured, many going also to the South Vietnam AF. After the American run out of Vietnam even captured aircraft were used by the Vietcong. In the seventies and eighties dozens of aircraft were delivered to South American countries, America's "back yard". They were used against left winged guerilla forces. 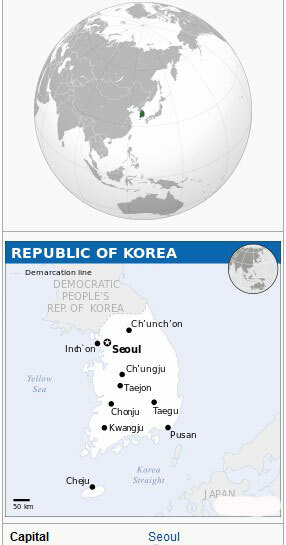 Trainer A-37B aircraft were sold in the seventies to South Korea and the ROKAF Black Eagles demonstration team use these as well until 2007. Even nowadays, some air forces use the A-37. 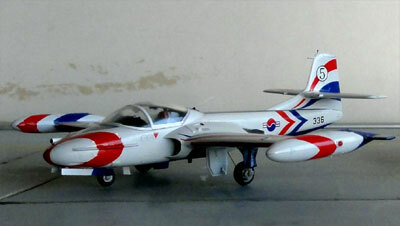 A 1/72 kit of the A-37 was first issued by Hasegawa in the seventies. At that time is was a good kit. I made a few of these in the old days. But in 1999 Academy of Korea came with a much better 1/72 kit for a A-37B. During the years it appeared in various boxes and with different decals. VIETNAM kit # FA163-1663 with 2 decal schemes for a USAF 14th SOW vietnam camouflage scheme as used from Bien Hoa 1970's and a Korean Air Force ROKAF scheme of the 8th FW 1996. Parts are in light grey-green plastic. KOREA kit #FA176-1672 with decals and a few parts for the Black Eagles demonstration team of the South Korean AF. Parts are in white plastic. 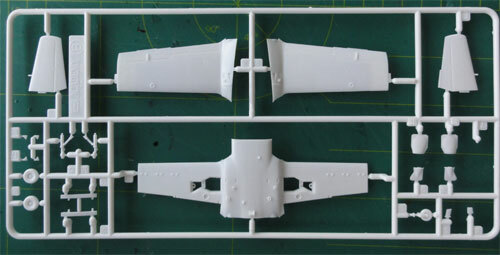 The kit parts are nice with approx 70 parts in white or grey plastic and a two piece canopy. The cockpit is basic but adequate for the scale and a 3 piece seat. (If desired one could buy a PAVLA set for the seats). The panel lines are finely engraved. It has an optional tank boom and for the Korean demonstration aircraft a smoke tank inside the cockpit, replacing one seat. Decals are adequate with also stencils. They "silver" quickly so really use a gloss undercoat. 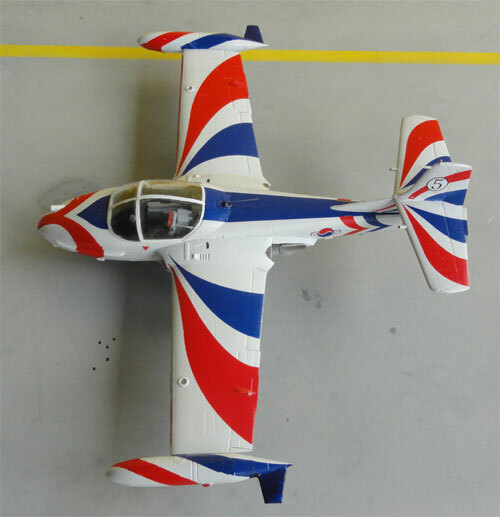 The kit is easy to assemble, starting with the open cockpit, fuselage and than the wing. Cockpit details were fitted later on. What is a bit missing are the jet exhaust pipes. I simply painted the insides "black". Same applies for the intakes as there is no actual "tunnel". Small parts are also nice with antennas and beacon lights. 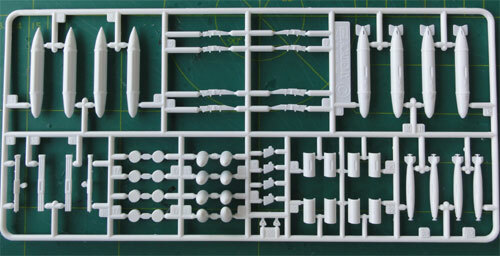 Stores in the kit are the many fuel tanks and SUU-14 dispenser, LAU-3 gun pods and mk.82 bombs with a bit thicks fins. The tip tanks are also there. 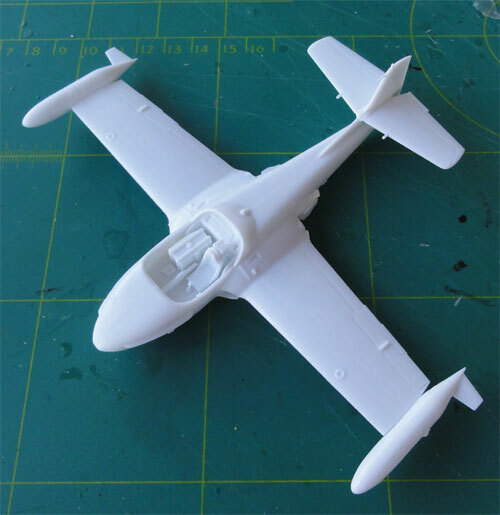 The fit is OK, I only need a bit filler at the lower sides at the wing-fuselage junction. Do not forget to add SUFFICIENT nose weight before closing up the fuselage. If you want various stores and pylons, do not forget to drill open the corresponding holes in the lower wing. The cockpit tub was painted grey (using Revell Aqua acrylic 77). The seat head rests red and grey seat structure. Seat harnesses were made of tape strips. Make sure the undercarriage and "sit" of the model is correct. There is little ground clearance. Also check the actual antenna and tank boom configuration of the particular aircraft desired. Sometimes, a shorter tank boom is seen. 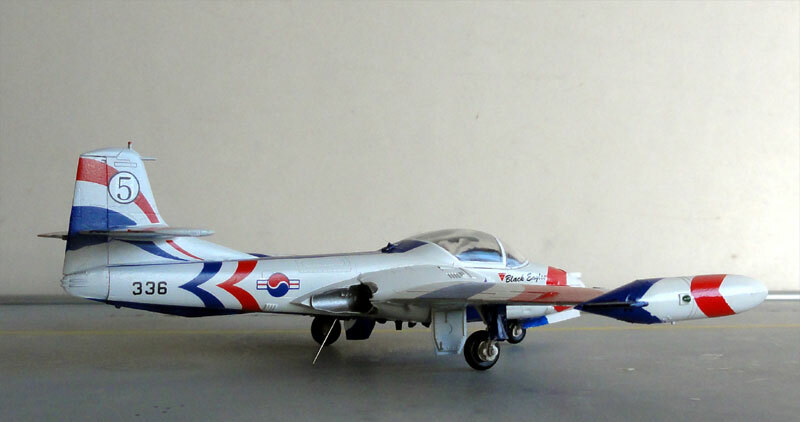 It was decided to make a bunch of these Academy kits of not only as per kit of the USAF Korea but also various World Air Forces using after market decals sets. The Academy kit #FA176-1672 was made as per instructions. So do not use the tank boom and top fairing A19 The stores were not used as well. But do install the fluid tank # A5. A base gloss white coat was airbrushed. The decals were applied and the canopy was set in closed position. Some paint was needed of blue and red to close tiny "decal gaps" and around antennas. Anti-collision light were painted and wire antennas added. The leading edge was hand painted red. In the end I still not enough nose weight... so a metal wire was needed to keep the model nose down. The normal standard Vietnam scheme has the paints Fed.Std 34079 green, 34102 green, 30219 tan and lower 36622 light grey. 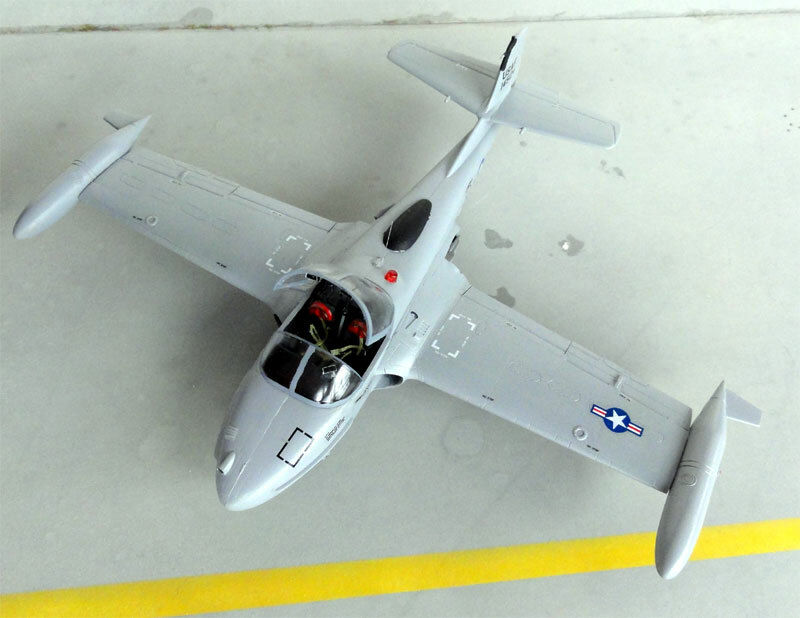 But this model was made with a special experimental blue-grey USAF Vietnam scheme. From my modelling Bas I got a number of decals of Wolfpack #72-205. The A-37 is for a 604th ACS of the 3rd TFW at Bien Hoa 1967. It was part of the "Combat Dragon" program. 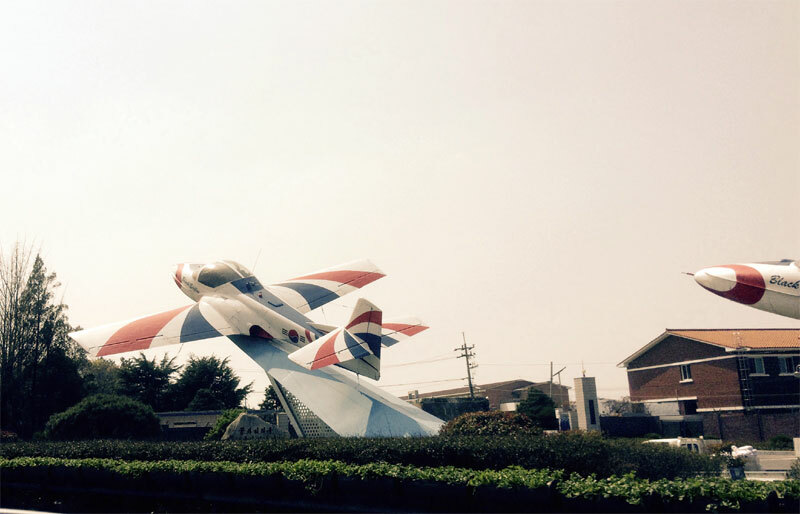 It was to developed the close support type of missions. Based on this, the A-37B was also developed. 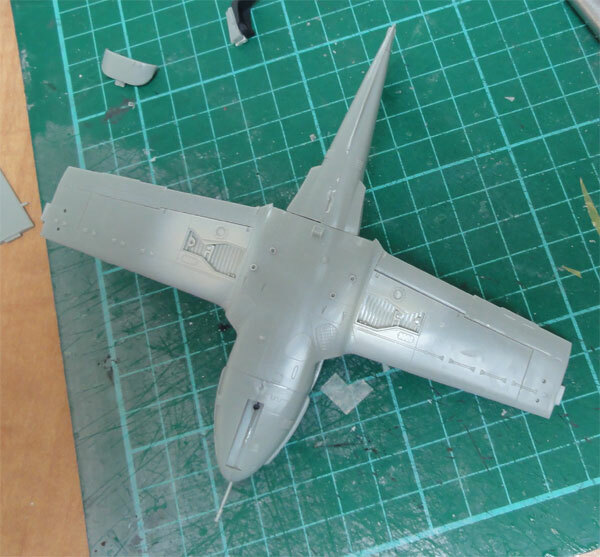 So this particular model should be a A-37A, so may be I should have used an old Hasegawa kit. But, I think the external differences are not that big between a A-37A and A-37B. The A-37B canted exhaust pipes are missing anyway in this kit as well.... and the Academy kit is much finer. I did not use the lower later A-37B wing fuel tanks and kept it "clean". The tank boom was not yet there so not assembled. It has a pale blue scheme of FS 25630. It was an experiment to see how enemy ground fire would be directed. But they were also difficult to see for the USAF crews and the Forward Air Controller (FAC). Later, the standard USAF camo scheme was used. I had no good pale blue match, so simply used GUNZE SANGYO #H307 acrylic. The canopy was tilted upwards and a couple of tiny mirrors installed made from aluminum foil on the edge.